St Mary’s Tennis Club is a part of the charity St Mary’s Sports Ground, which was set up in approximately 1928/29 following the gift of the land by Mr Musgrave. The charity’s purpose is to be available to the local community for recreation. 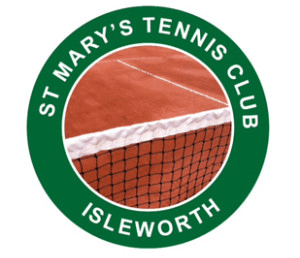 St Mary’s is a tennis club run by a committee of members who would like to make tennis accessible to all. Our mission is to open the club to tennis enthusiasts, new tennis players and to the wider community for recreation. St Mary’s was awarded a grant from Sport England in 2012 to improve its facilities and continue the Olympic spirit and encourage more people to get active and enjoy sport and leisure. We are passionately committed to helping people enjoy life through the physical, mental, and social benefits of fitness and tennis. St. Mary’s is your tennis club!